Dark circles can be hereditary in some cases. 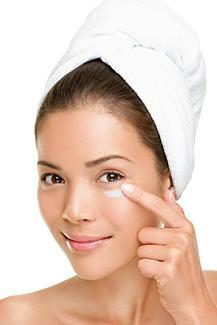 Dealing with dark circles under eyes is a tiresome problem, simply because they can be so stubborn. Women test drive product after product to wipe out those circles, but they never quite seem to truly go away. Is there anything out there that can make a genuine difference? It's not always easy to correct this problem; in some cases, you may need to go beyond skin creams and look into medical solutions. Anyone who has them knows there's quite a battle to be fought in order to get rid of them. While it may not be possible to permanently remove dark under eye circles, there are several options available that minimize their appearance. If your allergies are causing dark circles, a decongestant-antihistamine may help alleviate matters. Avoid going outdoors during hay fever season, and stay indoors in air-conditioned environments. Concealer is a popular fix for hiding darkness under the eye. You can use either color correction or standard concealer, depending on your needs. Use a color-corrector: Don't be shocked by the yellow, blue or mauve concealing correctors you see. They serve their respective purposes: The yellow camouflages blue circles, while the pale blue and mauve counter brownish circles. Both must be applied prior to foundation. Use a concealer: You can also cover up with your everyday concealer, although it's important to go a shade darker instead of lighter. For the perfect color, try mixing a drop or two of your everyday foundation with a drop of moisturizer. Blend it onto the back of your hand and apply three dots beneath the dark circles with a concealer brush. Then blend upward onto the circle, patting it into the skin instead of rubbing. Clinique All About Eyes: This lightweight cream/gel formula can be used on all skin types. According to the Clinique website, 94 percent of customers would recommend the product. Oil of Olay Total Effects Tone Correcting Eye Treatment: This all-in-one treatment not only addresses darkness, but also combats seven common signs of aging. Rozge Vanilyx Under Eye Cream: This intensive product is suggested for use by those with chronic darkness under the eyes. According to the product website, results may take four to six weeks to appear. Phytomer Pionnière XMF Reset Eye Fluid: Created with natural sea algae, this cream treats both darkness and puffiness. 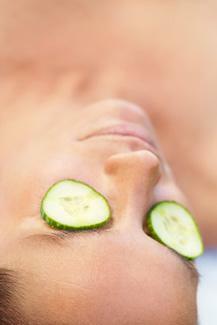 Cucumbers: Close your eyes and place a slice of cold cucumber on top of each one for about 10 minutes. Be sure to cover the under eye area. This can help to lighten your skin. Tea: Brew a pot of caffeinated tea using two bags. When you're done, squeeze all the water out of each bag and let them cool to touch. Place one bag over each eye and let them sit for 10 minutes. Potatoes: Cut two one inch by two inch strips out of the inside of a raw potato. Place them directly on the under eye circles until you notice a reduction in puffiness. Compress: Apply a cold compress, such as a wet washcloth wrapped around three or four ice cubes, to your eye area. The cold can help to lessen the swelling. Almond oil: You can also try massaging your dark circles with almond oil. If home remedies and eye creams aren't working for you, you can always visit your dermatologist for a procedure to lighten your under eye circles. In most cases, a doctor will use lasers to thicken under eye skin, thereby making the veins less visible. You may also be presented with the option of filler injections, but be sure you check any doctor out thoroughly. Some injection ingredients aren't approved by the FDA for this particular treatment, although they may be approved for other uses. Fillers like Restylane and Juvederm can be injected into the area to plump it and reduce the appearance of visible blood vessels or melanin. Be aware that you may experience bruising, swelling or an allergic reaction as side effects. It's also important to note that the Food and Drug Administration (FDA) has not approved Restylane and Juvederm specifically for under eye circle treatment (they are, though, approved to treat wrinkles). Nasal Congestion: Believe it or not, that congested nose of yours is doing more than just making it impossible for you to breathe. It's also causing the blood vessels that typically drain from your eyes to your nose to become dilated. This darkness results in the unbecoming circles you see. 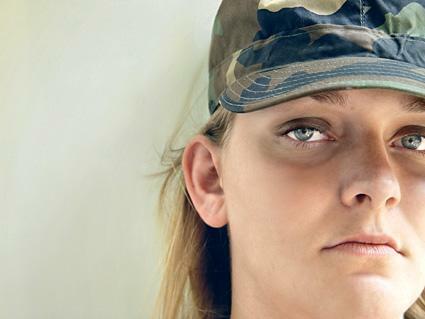 Eyelid Swelling: It doesn't sound very pleasant, but it's common enough. The eyelids can swell when you lie down to sleep for the night. Gravity is the reason. It can cause fluid to collect beneath the eyes in the lower lids, which results in swelling. This may then result in those dark shadows. Atopic Eczema: Who knew that skin conditions were associated with dark circles? Unfortunately, eczema can do even more than just wreak havoc on the skin. If you have the condition in the eye area, you are likely prone to irritation, either naturally or due to excessive rubbing. This results in thickening and, thus, darkening of the skin. Deep Tear Troughs: Some people simply naturally have deep hollows under the eye, which casts a dark shadow in the area. Heredity: Dark circles can run in the family, too. Some are born with darker pigmentation in the dermal layer, which creates the dark, bluish-black shade beneath the eyes. This is especially common among African-Americans, Southeast Asians and Southern Italians. Fair Skin: Blood that passes through the veins is more likely to show through on fair, transparent skin. Under the eyes, this produces that dark blue tint. Excessive Sun Exposure: At the same time, excess exposure to the sun can also aggravate the area and exacerbate the appearance of dark circles. Consider it one more reason to avoid those harmful UV rays. If you find that none of these remedies help with your dark under eye circles, if the undereye darkness is accompanied by other symptoms, or if it gets worse over time, visit a physician to rule out any underlying medical causes that could be causing them. Depending on the cause, your health care provider may treat the darkness with a presciption cream. If the dark circles are severe and there is no underlying medical problem, you may want to speak with a dermatologist about having them removed through laser treatments. Severe and moderate undereye darkness can be treated in a variety of ways. Understanding the causes and options available can help you combat this common condition and help you look and feel your best.